Teenager Shot in Leg Multiple Times in Cambridge, Mass. Police are searching for the gunman who shot a 19-year-old man multiple times in the leg in Cambridge, Massachusetts. The shooting was reported just before 11 p.m. Tuesday in the area of Pine Street and Washington Street, according to police. The teen suffered non-life threatening injuries and was taken to an area hospital for treatment. 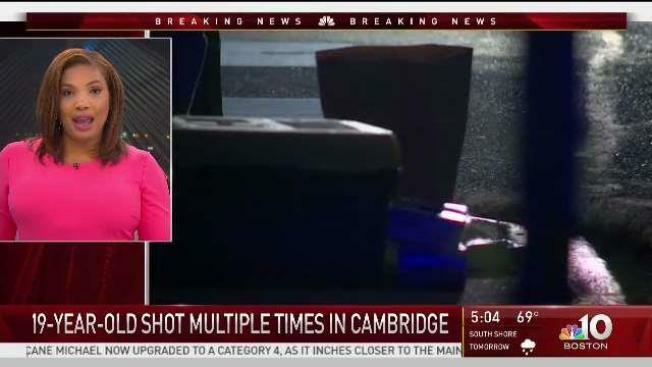 Prior to the shooting, an argument was reported in the area and multiple men were seen fleeing the scene, Cambridge police said. The victim has not been identified and a detailed description of the men who were seen fleeing the area was not available. Anyone with information on the shooting is encouraged to contact the Cambridge Police Department at 617-349-3300.